Come get crafty with The Amazing Art Cart at the wonderful NEW childrens shop The Wee Store in Hove. 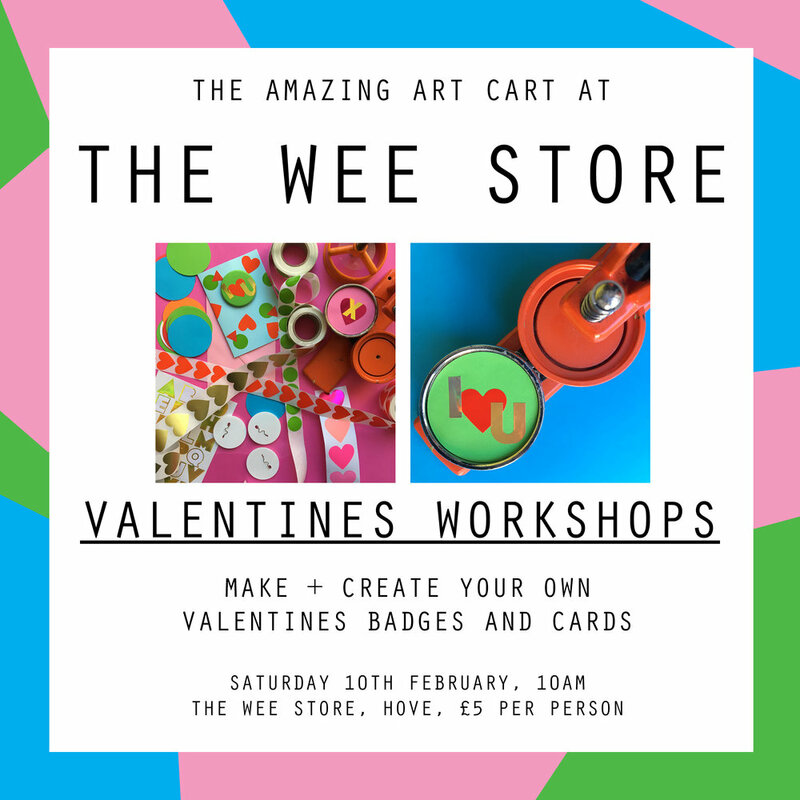 We'll help you design and make your own valentines day cards and badges all ready for you to take home and give to somone special. Workshops are aimed at children age 5 - 12 and last for approximately 45 mins - 1 hour. Materials and aprons provided.